Siri sounded so good when it first came out but we were younger then and we didn't know any better. Now that we've had several years of steadily improving audio from Siri, we're now at a stage where it sounds practically natural. Or at least, it does when you compare it to the original —and you may find yourself doing exactly that. It's not a very common problem, fortunately, but at times your iPhone will abruptly revert to that original voice. If it happens to you, it'll probably be just before you set out on a long drive and Siri's navigation instructions will irritate you at every single turn along the way. In theory, what's happened is that your iPhone ran low on space and iOS ditched the newer Siri voice to save room. That's far from unreasonable, though it would be good to be told. Except Siri's voice takes between 150MB and 500MB yet we have seen this on iPhones with 8GB space free. What's probably happened is that you since you last used Siri turn-by-turn navigation, you've cleared something off the iPhone. Maybe you did this around the time of an iOS update where the phone temporarily needs more room to install the new version. Whatever the reason your iPhone has shed the latest voice, the result is that Siri is going to sound like a robot again until you do something about it. To fix this, go to Settings, Siri & Search, and then tap on Siri Voice. When you do that, you see two sections for the voice. One is Accent and one is Gender. Whatever you previously had set for Siri's voice will be what's ticked now —even though that's seemingly wrong. 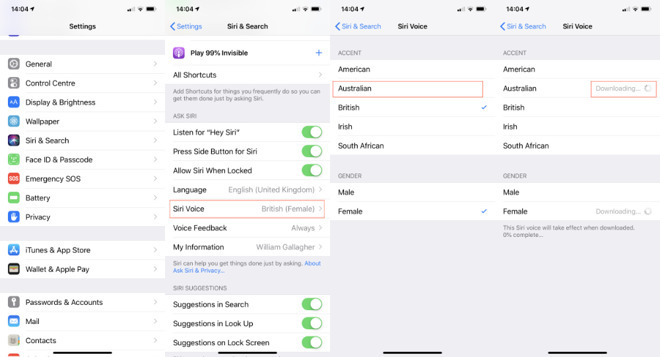 Despite your having just lost, say, the American accent and Male gender version of Siri, your settings will still show both of those as the current ones. Tap on any other Accent and then tap back on your preferred one. It will start re-downloading. To force iOS to redownload the right voice, tap to select one of the other accents. You'll immediately hear "I'm Siri, your virtual assistant" spoken in that accent. At the same time, you'll see the word 'downloading' appear next to it as your iPhone goes to get the full voice. Tap back on your preferred setting and you should now see 'downloading' next to that instead. You do have to be sure to have enough free space on your iPhone, but you can walk away now and be sure that the Siri you know and love is coming back to you. Do this download over Wi-Fi, though, as the maximum half a gigabyte will eat into your data allowance and maybe take some time. 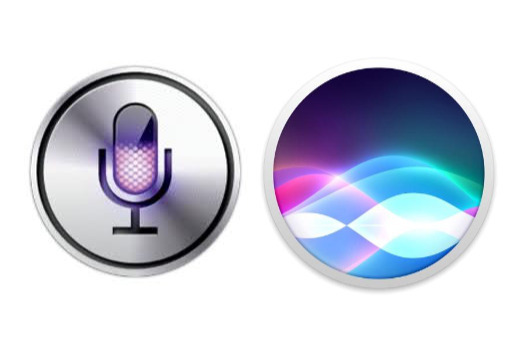 There are more Siri voices available in the General, Accessibility, Speech setting. However, Maps, for instance, will carry on using whatever is the voice you've chosen in the main Siri & Shortcuts setting. For such a small problem that has such a quick fix, it's remarkable how irritating it can be. Though it does drive it home how very much Siri has improved since its launch back in 2011.